After separated by electrophoresis, proteins are transferred to a membrane by electrotransfer. Use a tank blotter and the Towbin buffer for small proteins. For mixtures of small and large proteins or after isoelectric focusing, use a semi-dry blotter with a discontinuous buffer system. 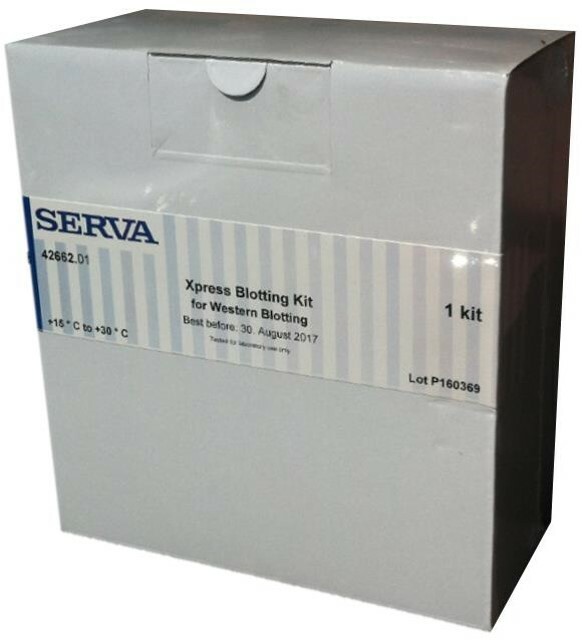 Another alternative is the Xpress Blotting Kit developed by SERVA. Although nitrocellulose membranes are still widely used, you will receive better transfer results with PVDF membranes. Nitrocellulose membranes are also brittle and difficult to handle. This is avoided with our fleece-stabilised nitrocellulose membranes. After transfer, you can visualize the proteins directly with colorimetric dyes. Another possibility is the detection of bound antigens (immunoblotting). In this case, the appropriate blocking solution leads to a successful chemiluminescent reaction. The SERVA VisiBlot Standard I is a ready-to-use mixture of recombinant proteins in the molecular weight range from 25 kDa to 150 kDa. In order to visualise the marker during electrophoresis and to have a transfer control, three protein bands are pre-stained. In addition, five uncolored proteins containing IgG binding sites are included. They can be detected via the antibody detection on the blot membrane and allow you to assign the molecular weight precisely. In addition to the Towbin buffer for small proteins and the discontinuous buffer system, we have developed various Xpress blotting kits for you. Each kit contains ready-to-use buffers and blotting fleece. On the one hand, the buffer reduces the transfer time to 15 minutes, and on the other hand, the newly developed blotting fleeces diminish interferences during transfer. Decide for the kit without membranes to use your own membranes or choose a kit with pre-cut NC or PVDF membranes. 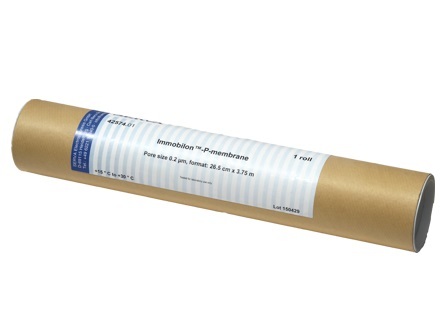 Nitrocellulose membranes are suitable for Western, Southern and Northern blots. The reason for this is the high binding capacity and a low background. Above all, the fleece backing nitrocellulose membranes are a good alternative, since cutting is simple, multiple hybridizations and automatic immobilization are possible. Nylon-bind membranes are characterized by high ductility and tensile strength, low background with high sensitivity and high binding capacity. Furthermore, their uniformly strongly charged microporous surface guarantees a fast and efficient binding of proteins, but especially of nucleic acids. PVDF membranes are hydrophobic, have excellent mechanical stability, are highly flexible and tear resistant. In addition, they have high binding capacity and low background. They are also compatible with most staining methods. We therefore recommend Fluorobind membranes to detect proteins with immuno or fluorescence applications. In order to achieve a good signal-to-noise ratio, it is important to block unspecific antibody binding sites on the transfer membrane. However, in the case of protein-containing blocking solutions, such as skim milk powder or BSA, there is risk that not only unspecific antibody binding sites are blocked but also specific binding sites are masked. In contrast, BlueBlock PF suppresses only unspecific, while the specific binding sites are unaffected. This increases the signal strength. SERVA sells five different ready-to-use chemiluminescence kits. 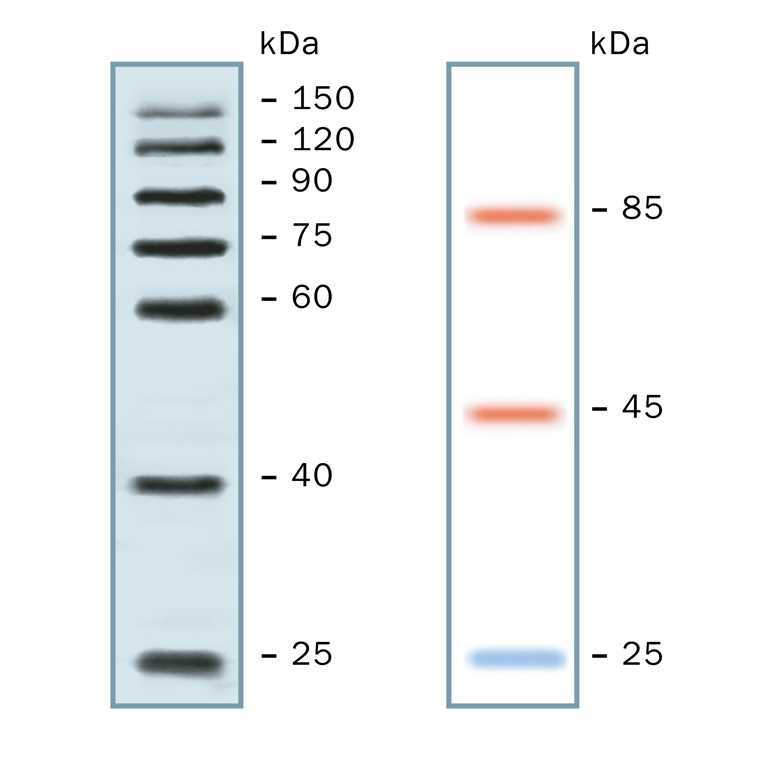 Thus you can detect immobilized proteins (Western blot) or nucleic acids (Southern and Northern Blot) either directly with horseradish peroxidase (HRP) or indirectly with HRP-labeled antibodies / streptavidin. The SERVALight CL HRP substrates are manufactured quickly. For this purpose, mix component A (luminol / enhancer solution) and component B (stabilized peroxide solution) in a ratio of 1: 1. 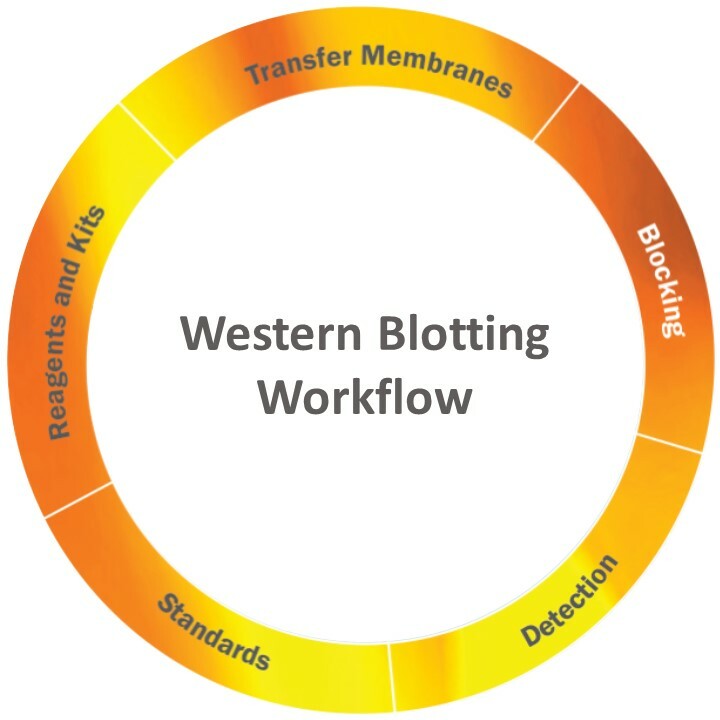 The BlueBlot semi-dry blotter forms a homogeneous electrical field that guarantees fast and efficient transfer of proteins from gel to membrane. Compared to tank blotting, less heat is generated. Anode and cathode are made from platinum-covered steel net. 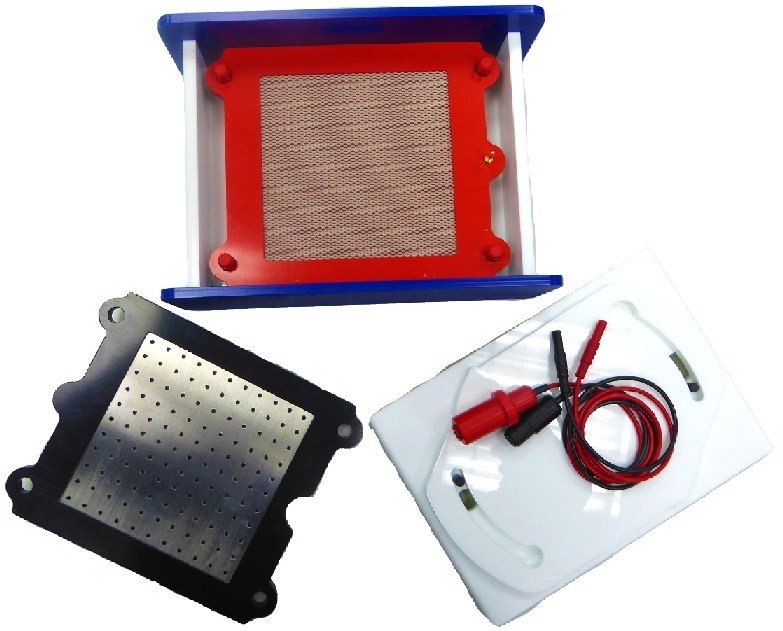 The springmounted anode allows blotting of thicker gels and gel stacks. Not only the stable acrylic housing is easy to clean but also the long-lasting electrodes can be dismounted from the housing with a flick of the wrist and cleaned under water running tap. Choose from three sizes. The model SD11 can accomodate one, SD17 four and SD26 six minigels. 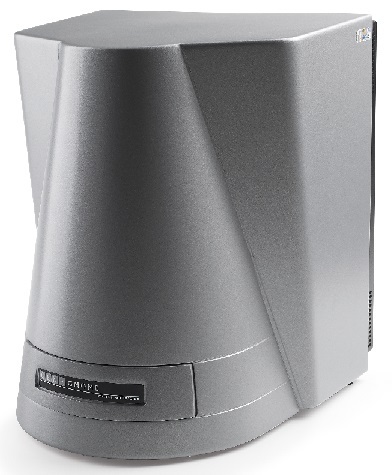 The GeneGnome XRQ is an imaging system for chemiluminescence. For this purpose, it is equipped with high performance and automation. 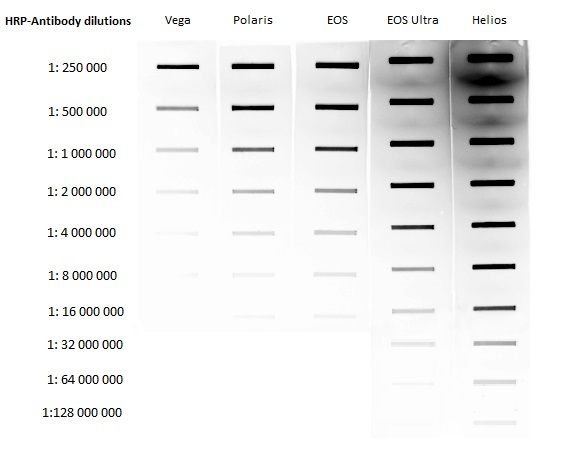 For example, the highly efficient CCD camera allows an even more sensitive recording and the simple setup process automatically captures a high quality image of each Western blot. 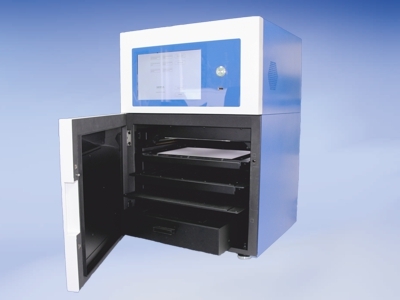 By built-in white light LEDs, colorimetric markers can be captured as well. 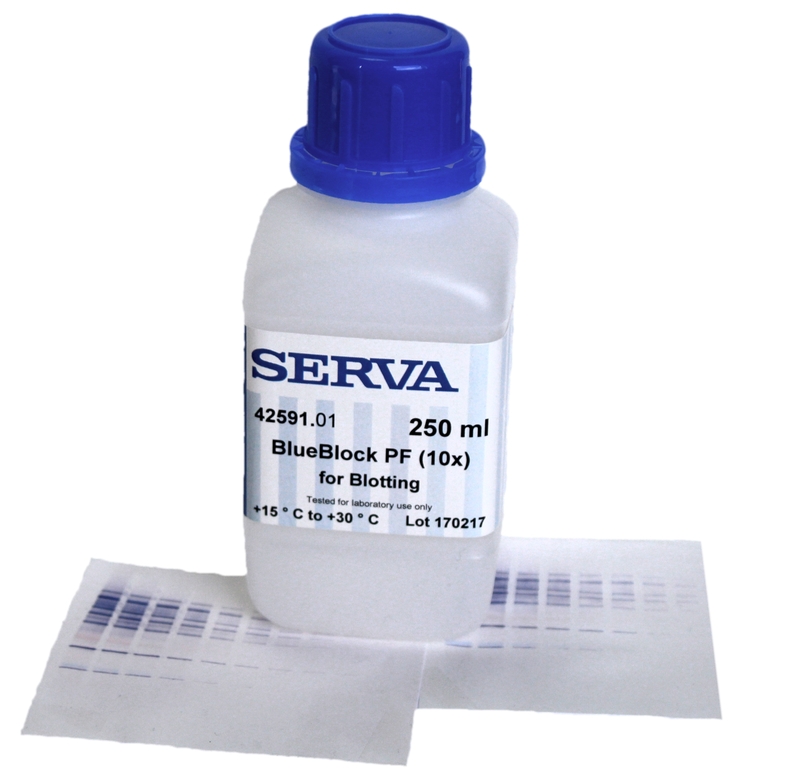 The SERVA Gravity Blotter has been developed by SERVA to blot film-based IEF and SDS PAGE gels at high efficiency. When performing horizontal gel electrophoresis the gel layer has to be stabilized by a backing, either by glass or plastic. This backing has to be removed before transferring the separated proteins onto a membrane by tank or semy-dry blotting. During this laborious process, the gel could get damaged. The use of the Gravity Blotter renders separating gel and film backing unneccessary. The results are comparable to tank or semi-dry transfer methods. The unit consists of a base plate with a transfer area of 14 x 29 cm. The pressure is provided by aluminum plates that are placed on top of the blotting stack. Transfer time is 4 h or overnight. Followed the all-in-one design concept of a single workstation, the SERVA Musketeer works independently and does not require a separate computer to operate the system. The built-in touch screen LCD panel of the SERVA Musketeer can directly handle the entire imaging procedure without any difficulty. Moreover, the smart user-friendly interface and vivid icons on the SERVA Musketeer allow for capturing of the gel images quickly and easily. With SERVA Musketeer, you will experience a hassle free process of collecting the gel imaging data in your laboratory. 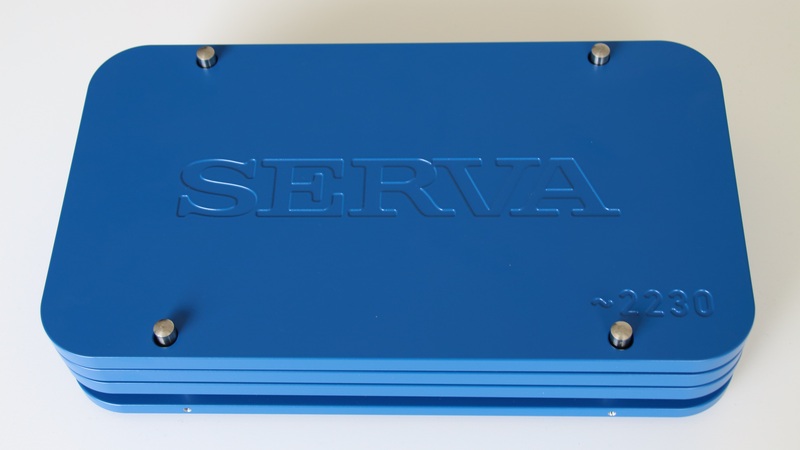 SERVA Musketeer is equipped with red, green, and blue LED transilluminator and epi lights and the appropriate filters. Thus, wide range of fluorescence applications may be processed through light source excitations. An UV and white light transilluminator as well as epi R/G/B/ and epi white light are installed.